Bantwal, Mar 24, 2018 : In shocking incident , RTI activist drowned while taking bath in Netravathi river near Nandavara Temple in Bantwal on March 24, Saturday. 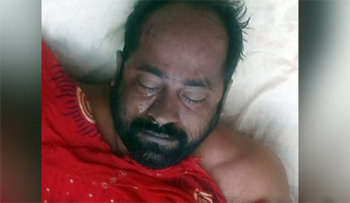 The deceased is identified as Sharath (48), resident of Marnabail, here. He was active member of Raitha Hasiru Sangha. Sources said that Sharath had left home at around 6 in the morning to Nandavara Temple . As he got into the river for bath, he drowned. His body was lifted from river with the help of local swimmers. An accidental slip might have resulted in the mishap is suspected. Case has been registered in Bantwal police station.